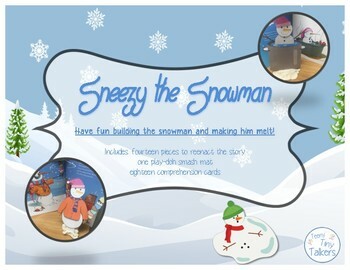 Who doesn't love Sneezy the Snowman?! 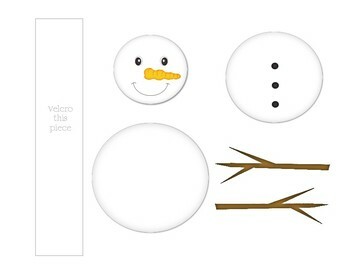 In this PDF you are provided with pieces (such as the snowballs, sticks, hat, scarf, jacket, fire, hot tub, etc) in order to retell the story about the silly snowman that keeps melting. 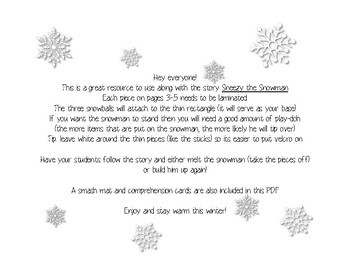 A play-doh smash mat and comprehension cards are also provided. Enjoy!